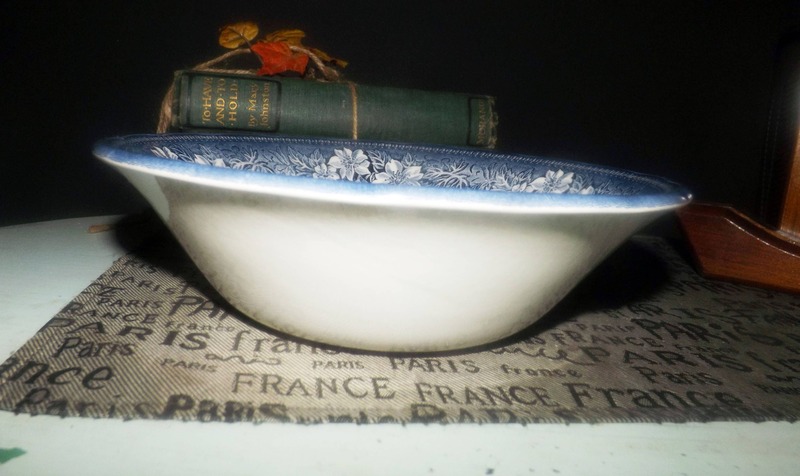 Vintage (mid 1990s) Ravensdale Coaching Taverns blue-and-white transferware vegetable bowl. 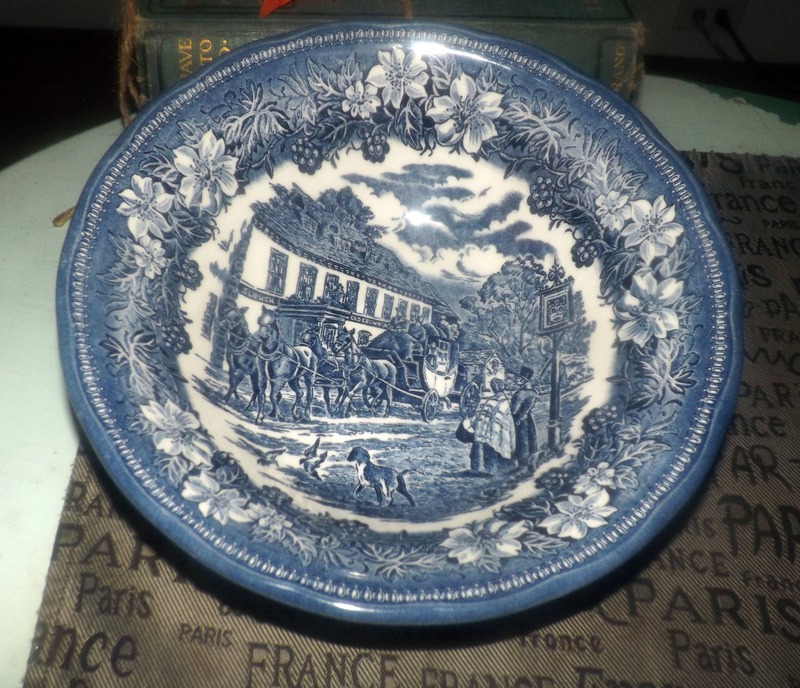 Horse and carriage scene, blue floral border. 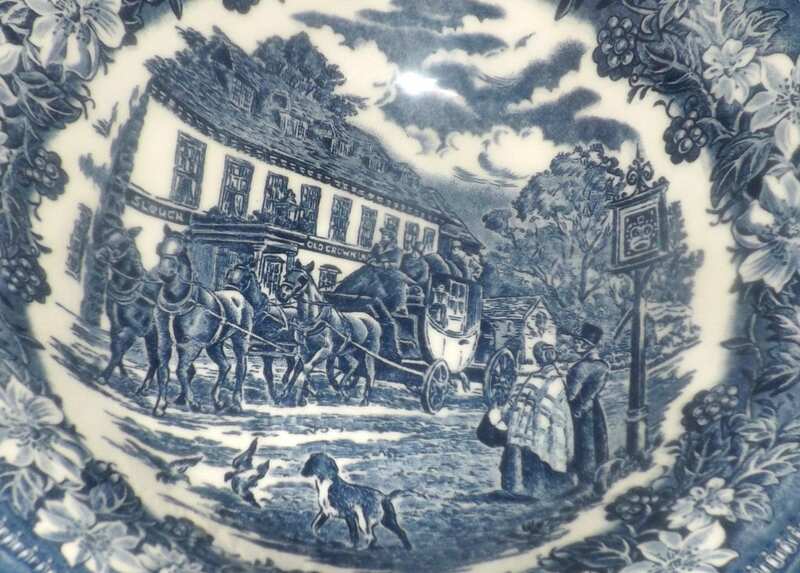 Vintage (early to mid 1990s) Ravensdale Pottery England Coaching Taverns blue-and-white transferware vegetable serving bowl featuring a central image of a tavern, horse and carriage scene with a blue floral border and a scalloped edge. In EXCELLENT! and seemingly unused condition with NO! chips, nicks, cracks or fleabites, NO! crazing and NO! marks, stains, scratches or other signs of use or wear. 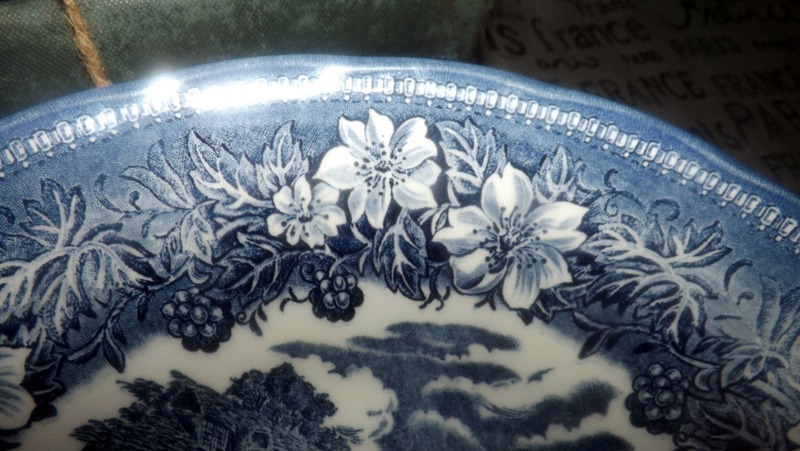 The blue-and-white transferware horse and tavern imagery as well as the floral border are all bright and vivid with NO! fading apparent. Immaculate! 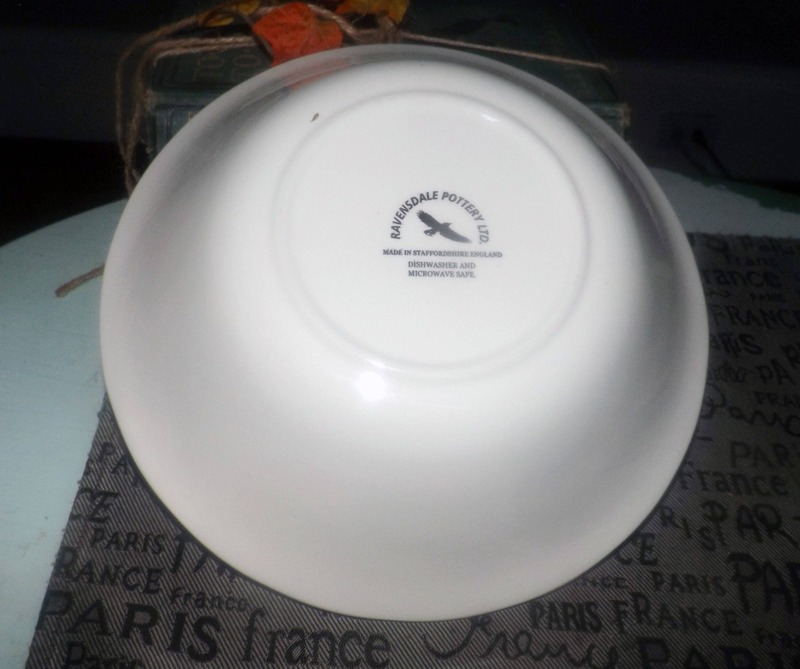 Approximate measurements: 10" in diameter (measured edge to edge) x 5" deep with a scalloped edge.